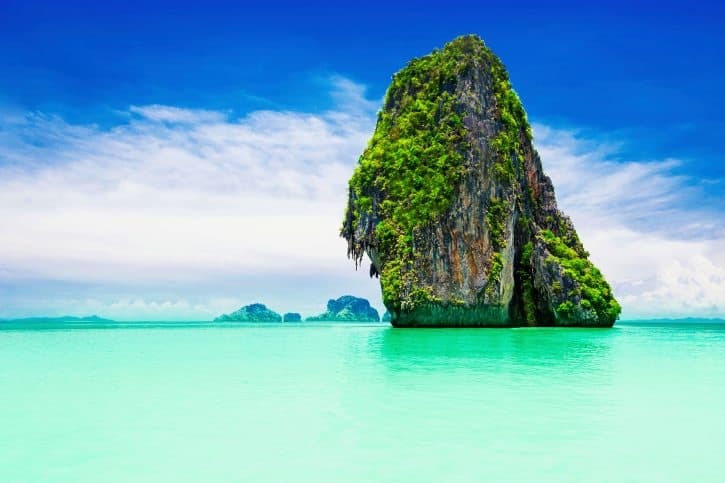 Along Thailand’s Krabi and Phang Nga regions lies the exquisite island of Phuket. The place has constantly found a place among the list of top travel destinations of the World owing to sound mode of transport system, serene location, great Thailand cuisine, plethora of bays and variety of other factors. In case you are a traveler and want to unwind yourself after a hectic year in this Thai island, here is what to expect from the place. Have a look. The International Airport of Phuket provides a seamless connectivity of the island with the rest of the World. Once you arrive at the airport, there are various public transports available. You can get a cab, motorbike or bus to take you around Phuket. Air conditioners and non air conditioner transports are available as per your preference. You can either hire a car for your entire stay by giving a fixed rental or can travel by public transport. In case you are travelling with your family, accommodation becomes a priority since you just cannot stay anywhere. For this, there are various hotels, resorts and villas that are available throughout the year. Hotel rooms are available right from two stars to five stars and can be chosen as per your budget and preference. You can even choose villas that can accommodate up to twenty people together and are one or two storied buildings. In case you want to stay at a resort, there are hundreds of resorts readily available as per the convenience of the customers. In case you are wondering what the budget will be, well it can range anything in between $200 to $3000 for a night. The budget depends on whether you are staying alone or with family. There are a plethora of places to visit in the island. In case you are visiting Phuket for visiting Buddhist temples and shrines, Wat Chalong gives the perfect religious experience. This particular temple is situated in Southern Phuket and is known for its beautiful architecture. You can visit Fantasea Show of Phuket that includes spectacular shows offering delightful visual effects, amazing acrobatic skills as well as shows by wild animals. If you are travelling with your kids, this particular show will be of great interest to them. The Diving experience in the Andaman Sea also enthralls tourists. In case you are a night creature, Bangla Road offers the perfect night experience with discotheques, pubs and various night shows. The Cabaret Show hosted by Simon is also an attention grabbing event with performance by lady boys of Thailand. The Big Buddha statue is again an endearing rendition for tourists. Other popular destination is the Promthep Cape that is famous exclusively for its sunsets and amazing views. In case you are expecting to be entertained with the Jackie Chan styled Martial Arts, the Muay Thai fighting matches will keep your interest level high. Your Phuket travel will remain incomplete without visiting Phi Phi island. You must pay a visit to this island, if you are already at Phuket. Since Phuket lies along the Krabi province and Phi Phi is a part of it, travelling to and from both these islands does not take much time. The Phi Phi Island is at a distance of a few hours and generally is divided into the Phi Phi Leh as well as the Phi Phi Don. Getting a speedboat is the best option to travel from Phuket to Phi Phi. You can decide on the fare and then catch a ferry to the beach of Ao Ton Sai. From there you can take a second boat that will take you to the Phi Phi Island. It will take a few hours at maximum before you actually reach your destination. Apart from the speed boat, one can take the help of a sea plane as well. You will get various chartered services across Phuket that can take you over the sea for a short distance. You can either book the plane in advance or can do so on the spot. Once you get on the island, you can stay there for the day time and then make your way back to Phuket in the evening. In case you are planning to stay for a few more days, you can book any of the hotels or resorts and can enjoy the Viking Cave, the Mosquito Island, the Pileh Cove and various other tourist destinations across Phi Phi. Right from great food to interesting shows, amazing views to beautiful landscapes, Phuket is the perfect choice for all. It is a complete package and gives you enough opportunity to enjoy and de-stress yourself.